Tinnitus is a distressing condition that affects people of all ages and from all walks of life. Some people are not even aware they have it but if you can hear noises such as ringing, buzzing, rattling or sizzling you may be suffering from tinnitus. If you have trouble sleeping or concentrating in quiet places this may also be an indication of tinnitus. We are experts in providing tinnitus treatment in Stoke-on-Trent and have decades of experience in diagnosing and treating tinnitus. The most important part of tinnitus treatment is diagnosing the root cause of the condition. There is no one reason people suffer from tinnitus which is why through testing is necessary. It could be as simple as a buildup of earwax that can easily be removed. Another cause is working in noisy environments for extended periods or head trauma cause by a fall. There is also the possibility there is a problem with the inner or middle ear which requires specialist treatment. It is also important to identify triggers such as certain environments, particular sound frequencies or physical activities. It is very important to get tinnitus under control as the condition can worsen and become a very painful problem. If left untreated, tinnitus can cause serious problems such as depression, insomnia or anxiety. Our tinnitus treatment in Stoke-on-Trent will be able to stop your condition worsening while ensuring you receive the best possible care. If you have any further questions about our tinnitus treatment in Stoke-on-Trent then please do not hesitate to get in contact with us. Whatever the severity of your condition and however long you have had it, our hearing experts can help you. 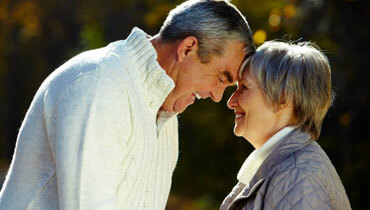 There is no need to suffer any longer as tinnitus treatment has never been better. Come and visit us in Stoke-on-Trent if you would like a free consult.